Status Dough - R2R Studio LLC. 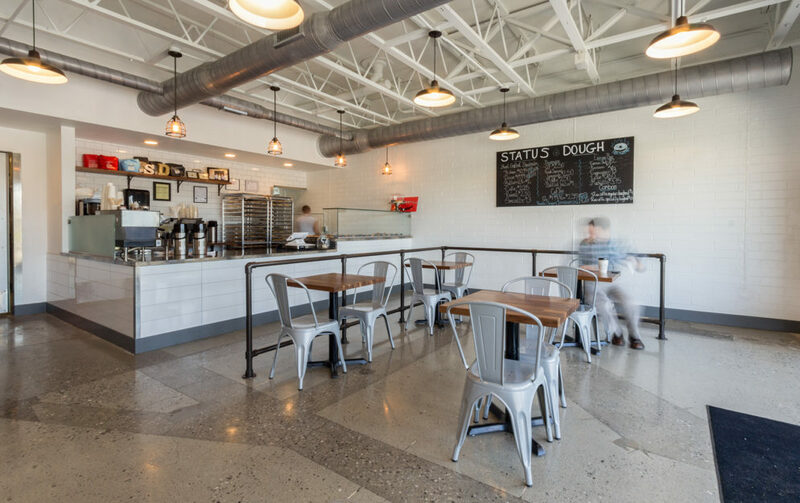 Located in Bearden, Status Dough brings the feel of a big city bakery home to Knoxville. 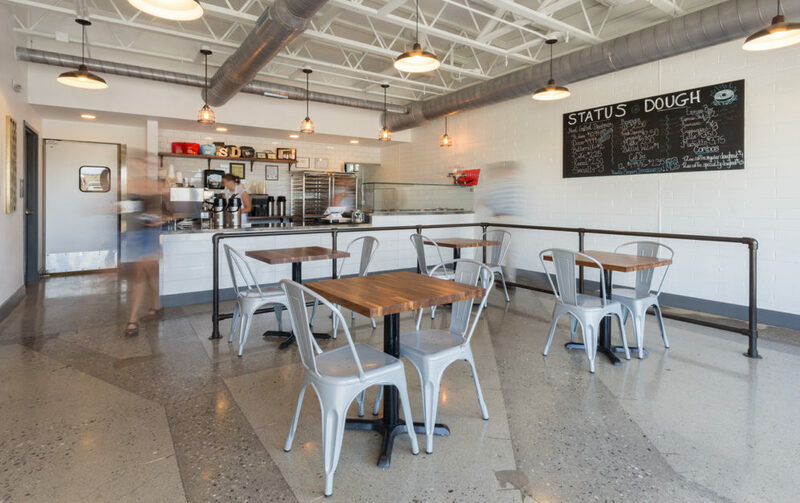 Inspired from work experience at a doughnut shop in Chicago, the Owners’ idea for Status Dough was for a primarily fast paced, ready-when-ordered style bakery. 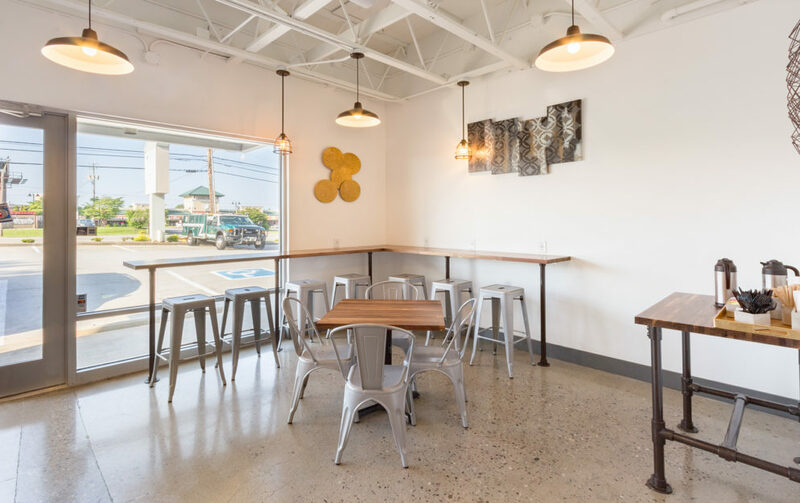 Working within a small, yet efficient footprint, the design goal was to create a clean and simple look that showcased the doughnuts in their flavorful form. 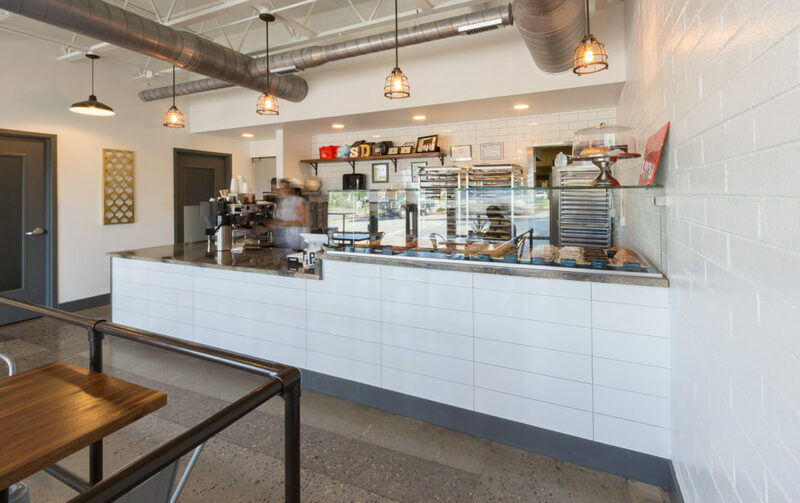 The use of whites and grays help make the space feel open and bright, allowing the colorful doughnuts within the elevated display case to pop. Large amounts of glass also help to make the space feel more spacious, including the use of frosted glass on the restroom doors rather than a solid panel. To take advantage of the height of the space, the ceiling and existing structure were painted white. This adds to the inviting and surprisingly large seating area. The space is accented throughout with hints of industrial elements, including a pipe railing queue line. Overall, this project strives for a minimalist design that keeps the focus on what is most important–the doughnuts! 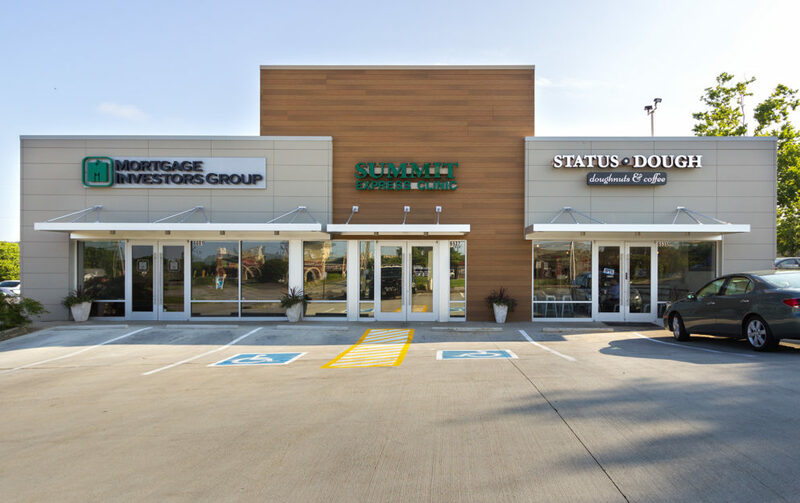 Before Status Dough began baking, the facade of Sequoyah Place received a major face lift. 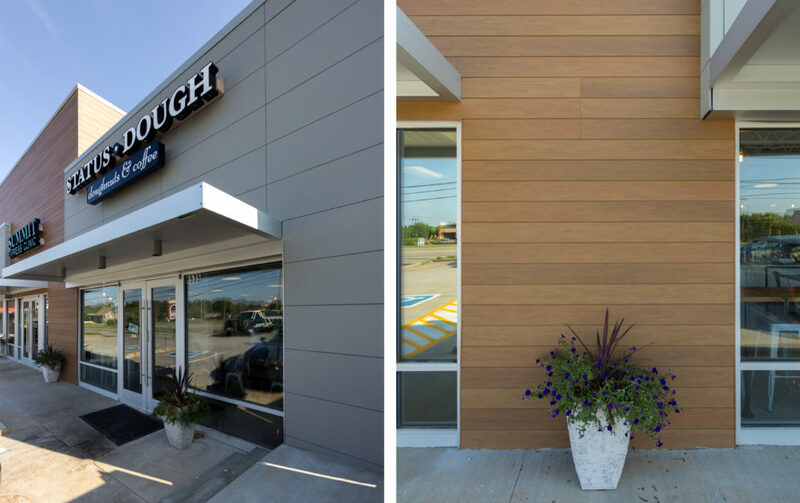 The traditional exterior was removed, and it was replaced by modern forms and fresh materials. The new front emphasizes the three individual tenants in the building with features suited for the scale of Kingston Pike traffic.